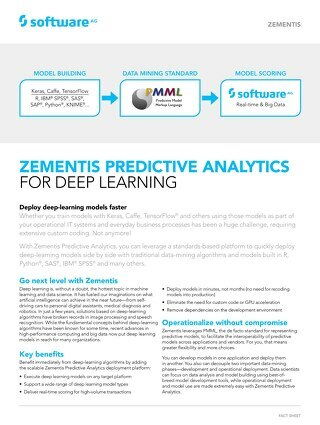 Agile Real-Time Deployment of AI, Machine Learning and Predictive Analytics. 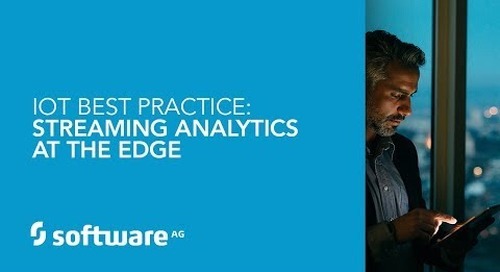 From machine states to complex process monitoring to environmental analysis, AI, machine learning and predictive analytics play a growing role in the efficiency of manufacturing. 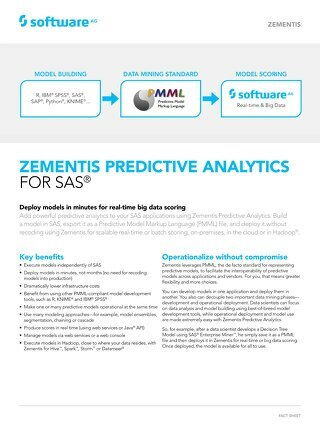 Historically, deployment of sophisticated analytic models is time consuming and labor intensive leading to missed economic opportunities. 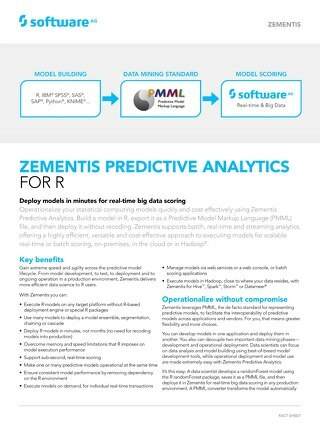 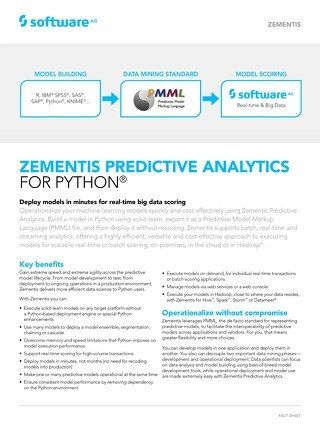 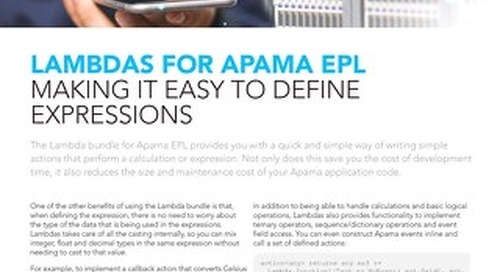 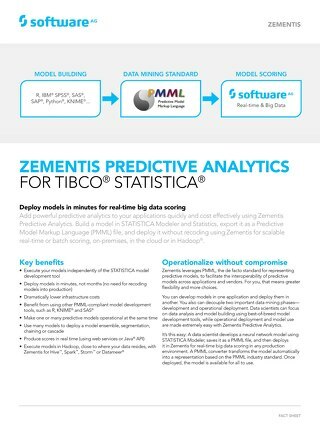 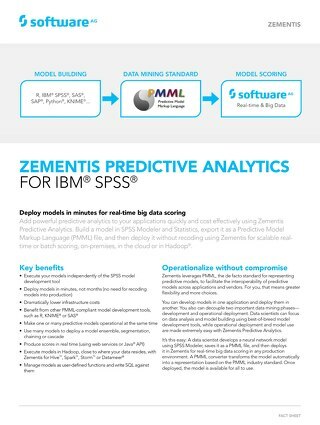 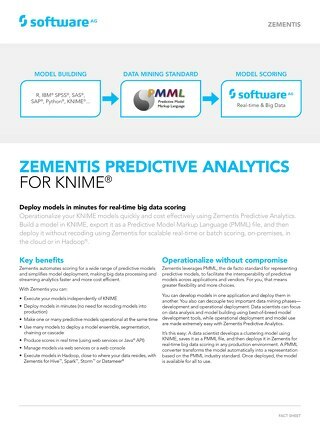 Now, with Software AG’s Zementis Predictive Analytics enterprises can easily integrate leading edge analytic techniques in a radically accelerated manner, reducing overall costs and improving operational effectiveness through predictive maintenance initiatives and beyond. 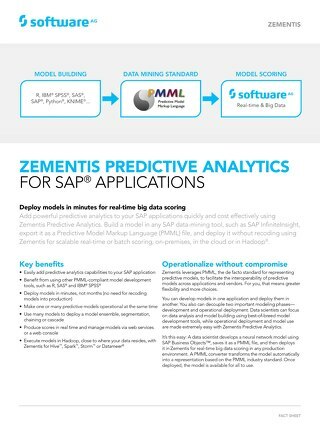 In this presentation and demo you will see how to easily and rapidly embed AI, Machine Learning and Predictive Analytics to score, detect, isolate and respond in your IoT platform. 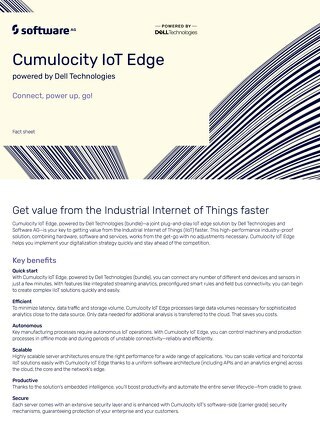 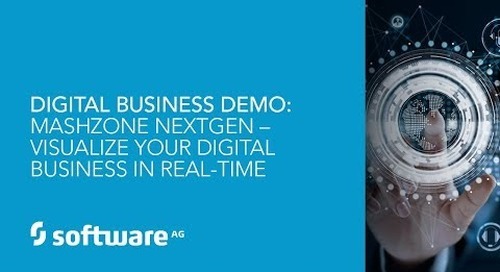 We will also show how Software AG’s Cumulocity IoT increases the agility, flexibility and sophistication of traditional business processes. 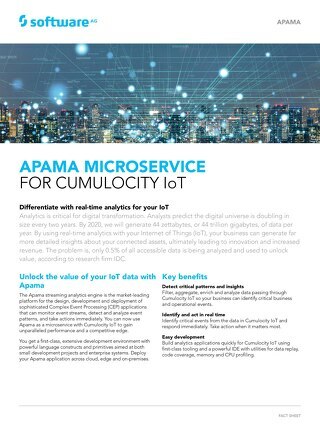 Learn why leading companies such as Bosch and Siemens have partnered with Software AG for their IoT solutions. 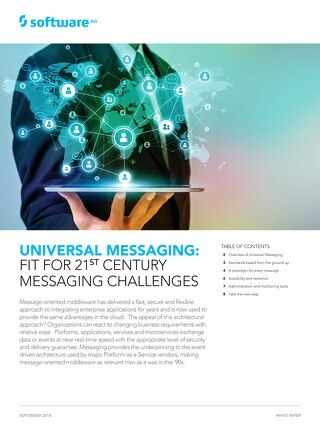 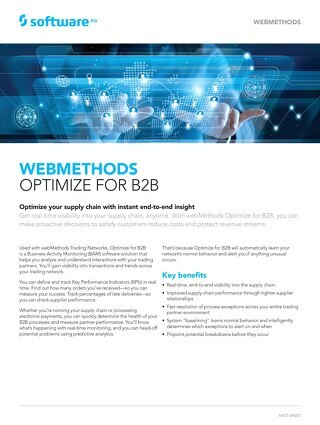 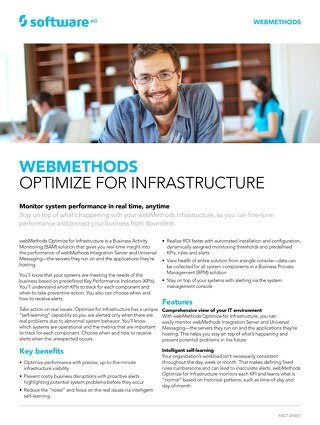 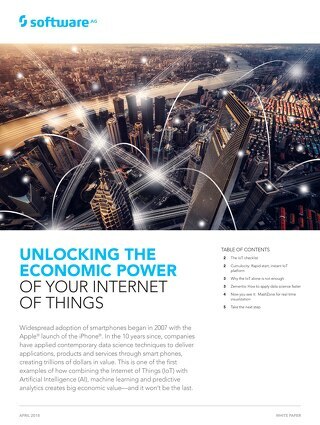 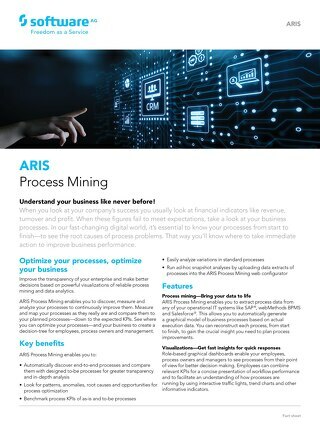 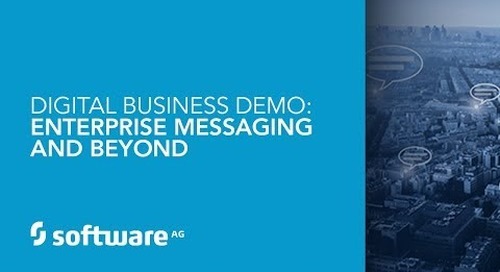 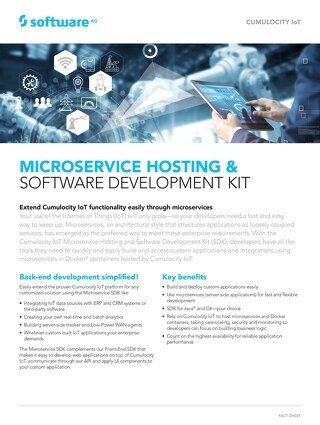 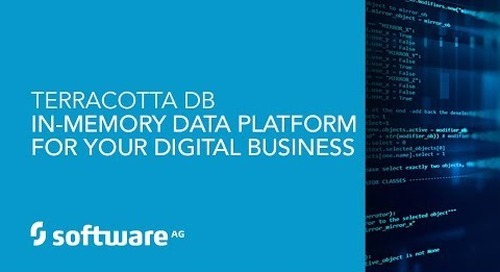 For more information visit https://www.softwareag.com/corporate/products/internet_of_things/default.html.